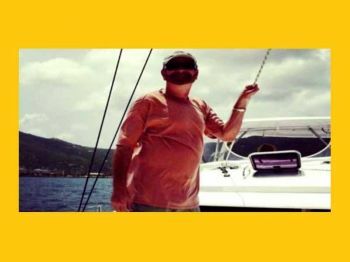 ROAD TOWN, Tortola, VI – Following the death of a Broward County, Florida Cardiologist, Dr Joseph Horgan after he allegedly fell from his yacht while vacationing here in the Virgin Islands (VI), the Royal Virgin Islands Police Force (RVIPF) says they are now probing his death. According to a statement from the Commissioner of Police (CoP), Michael B. Matthews, the body of Dr Horgan was retrieved from the waters of the Virgin Islands (VI) on December 20, 2018, and after the pronouncement of death, his remains were secured in the Territory’s morgue facilities located in the new Peebles Hospital. US family members have since cried out over not being able to retrieve the body of the Doctor due to VI laws prohibiting the release without an autopsy. The Commissioner of Police noted that while investigations have begun for the unfortunate death, in order to conclude said investigation it is necessary to obtain medical records of the deceased from the United States. “These records have been requested and the Force has been liaising with the family of Dr Horgan hoping to receive these urgently. These historical records are vital to the investigation process into determining the circumstances of the death of Dr Horgan,” Mr Matthews said. “At the immediate conclusion of the investigation, a file, inclusive of the medical records of the deceased which remain outstanding, will be presented to the Coroner’s Office and it will be necessary for an autopsy to take place,” he said. Family members had cried out to US media, Local 10 News, that a pending autopsy was the cause of the hold up in retrieving the body. 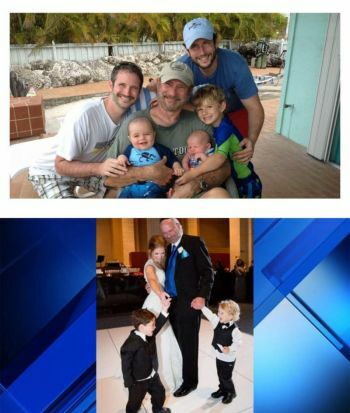 The family claimed to have made several offers including paying for the mortician’s tickets so they can have the body at an early date, since according to them, the medical examiner was on vacation . "As if my father's death wasn't enough and tragic, we assumed that they would do the autopsy and his body would be returned to us in a few days,” son Jason Horgan said. “We learned that because of certain British Virgin Island laws and because of the holidays, as of right now, it stands that nothing will be done with him until January 3rd when the medical examiner is back from vacation," his son told the news outlet. RVIPF says further, more legal and official procedures are required before the body of Dr Horgan’s is released to the family. “We recognize this is an extremely distressing time for the family and we will continue to work diligently to have this matter concluded at the earliest and keep the family of Dr Horgan informed throughout,” Mr Matthews said. The force extended deepest sympathies to the family and friends of Dr Horgan over his death. Everyone knows the process. It is the process all over the world. But some how news stories in the USA aka “fake news city” seems to think that his should not apply this time or are rushing to bypass this process. Thry need to respect the process. You would think the family would welcome the autopsy and want to know the cause of death. Def got to check them wypipo. They think we so inept they come to the BVI to kill off their family member. Thank god there looking at this more closely. This man should never had died like this.. he was to good of a man to have whent like this. And why ??? Was he sailing alone back to Florida? ??? I pray for him every night. I have a lot of sympathy for the family, but I want to know for sure, How did this happen to him. Mae the good lord help the investigation to please find out the truth. Wonder why the investigating team is BVI as opposed to USVI? The Miami Herald reports that his body was found "in the waters off Buck Island". Buck island is in US St. Croix. I think anyone who has viewed several reports about this would have lots of questions. As a BVI catamaran sailor myself, I see several open issues that should be resolved. And, what's the hurry for body transport anyway?